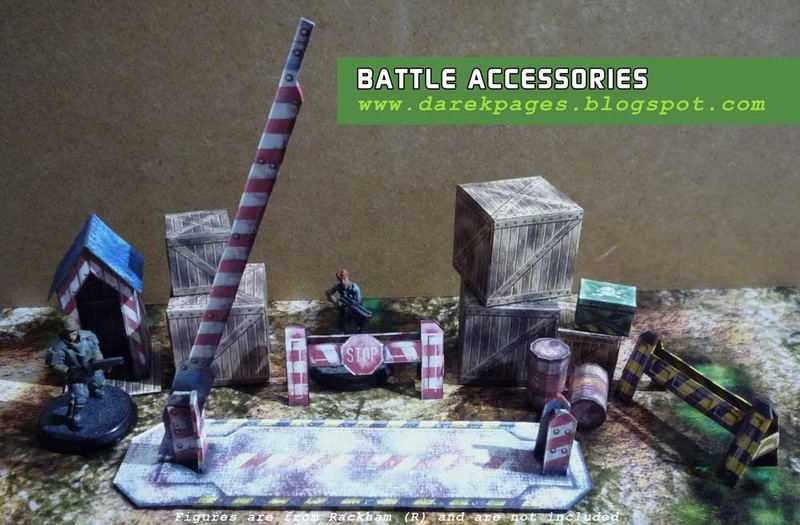 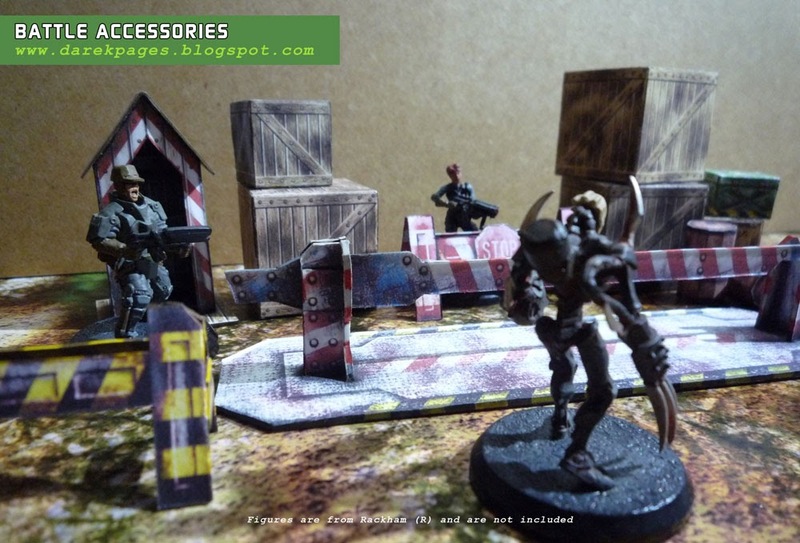 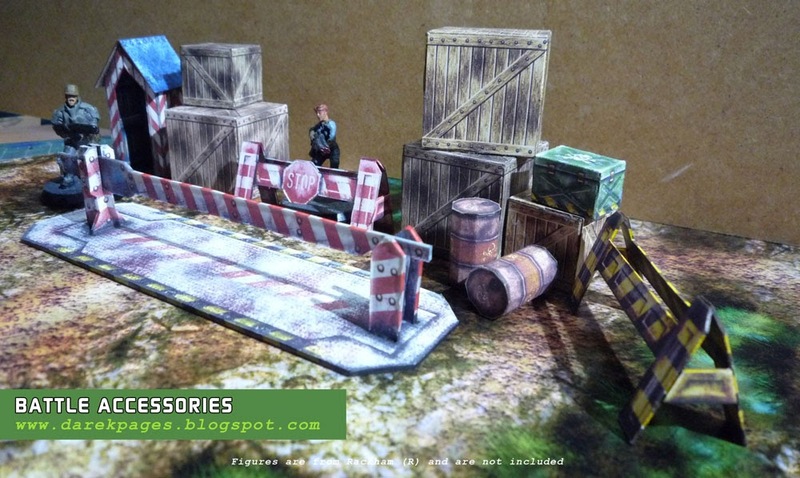 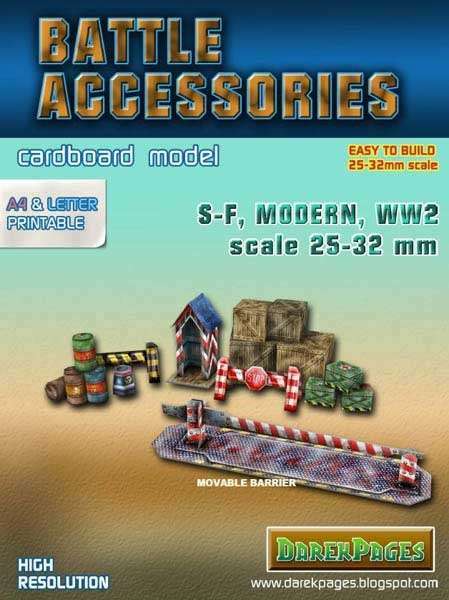 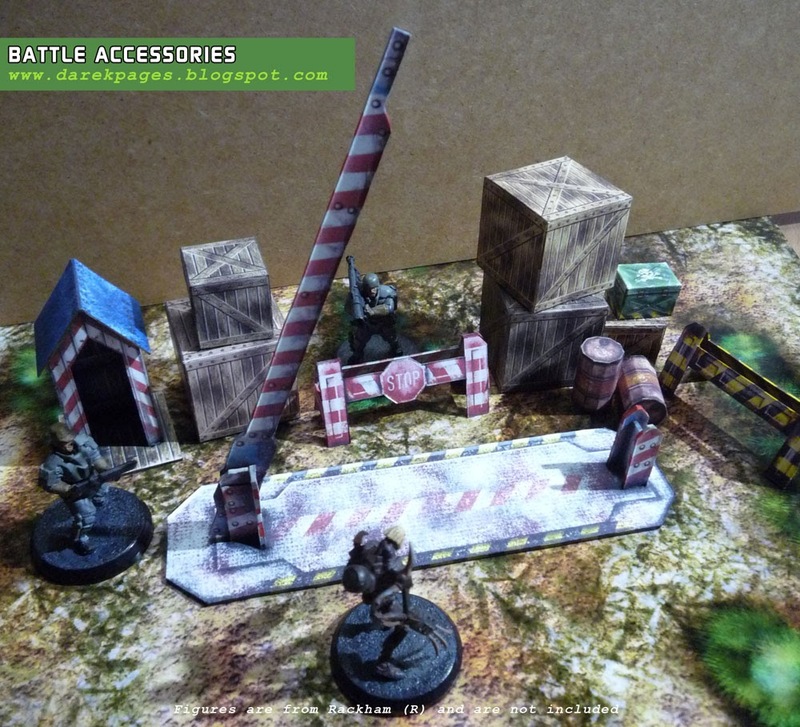 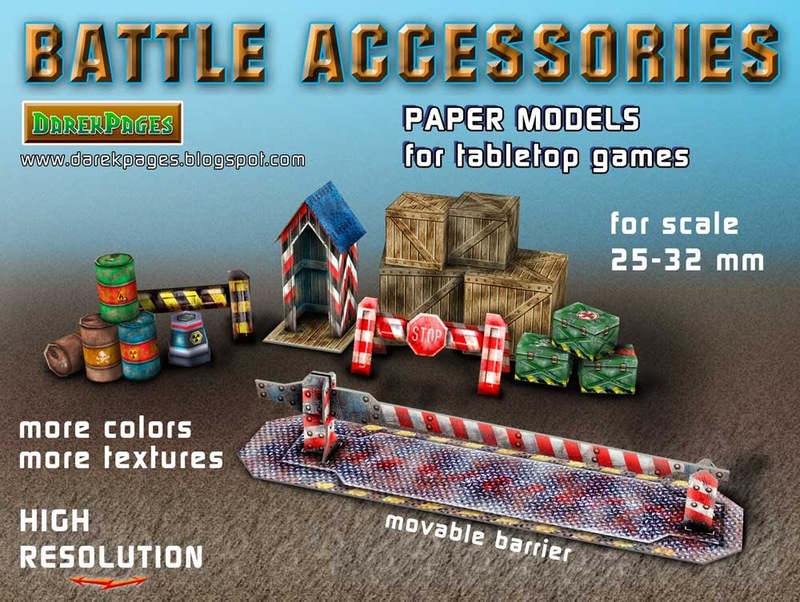 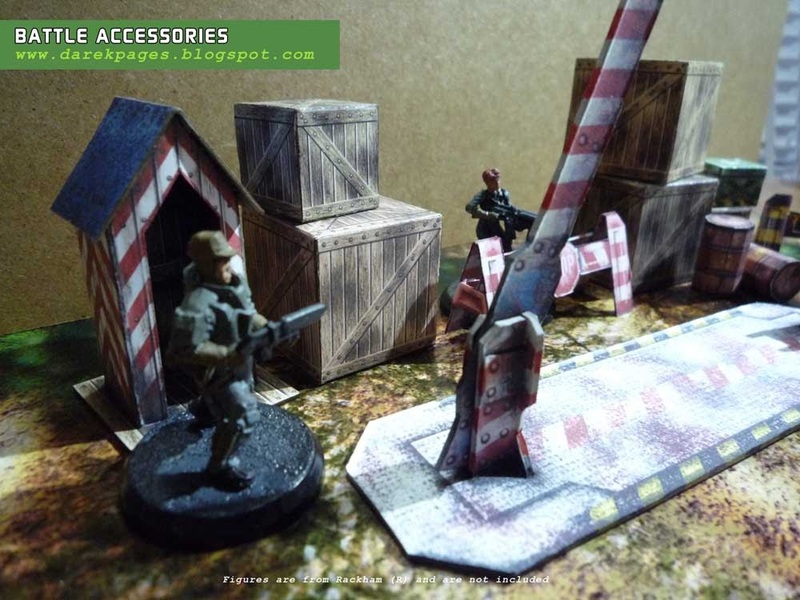 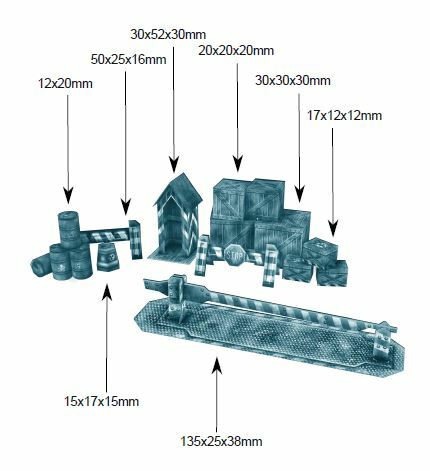 Typical accessories that are usually found on the battlefield, scale 28-32mm, ww2, modern, s-f, wargames and RPG. 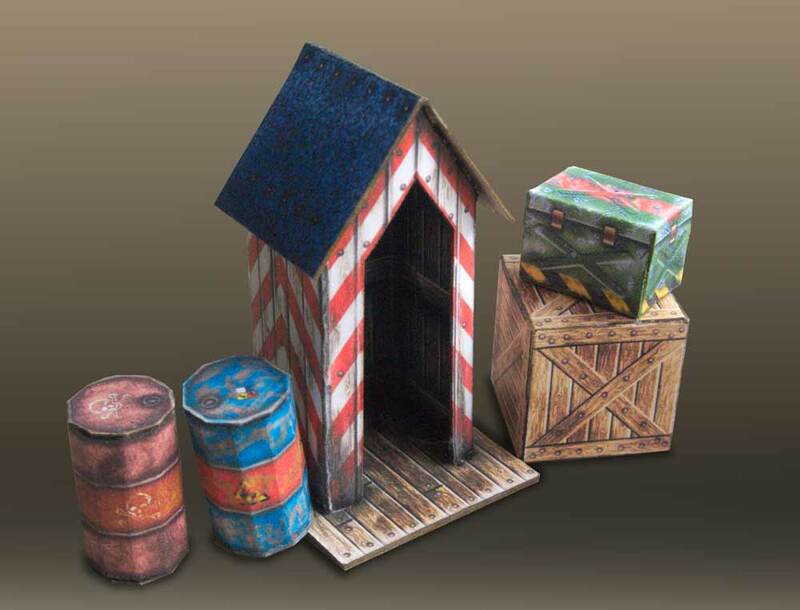 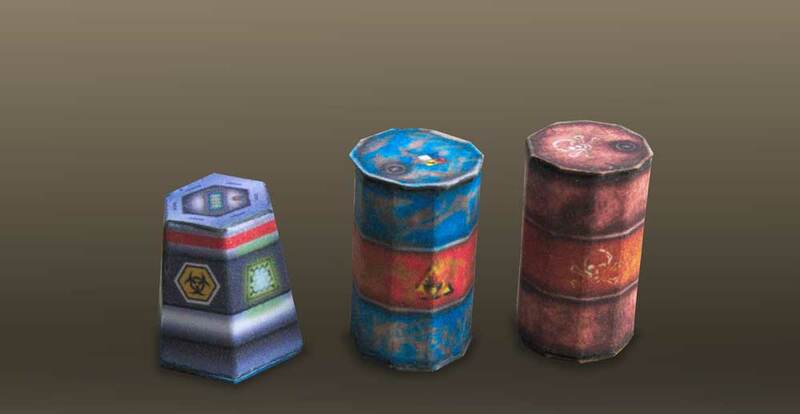 Wooden boxes, height 20mm and 30mm, barrels height 20mm, they can be used for protection. 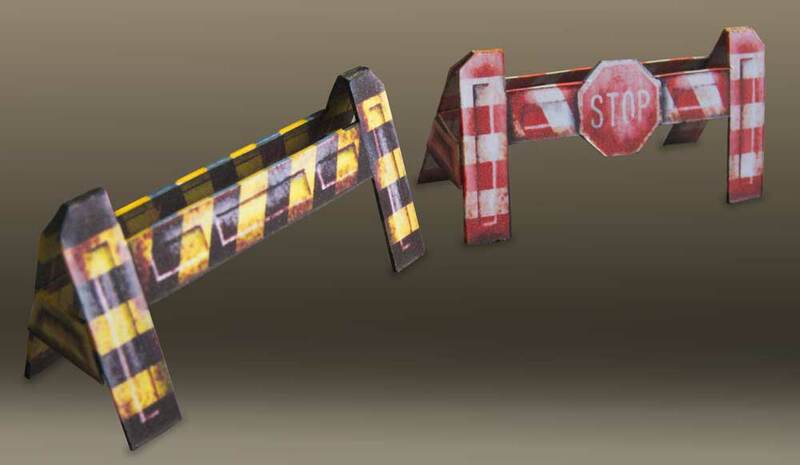 Road barriers (width 50mm, height 20mm) will block roads or entrances. 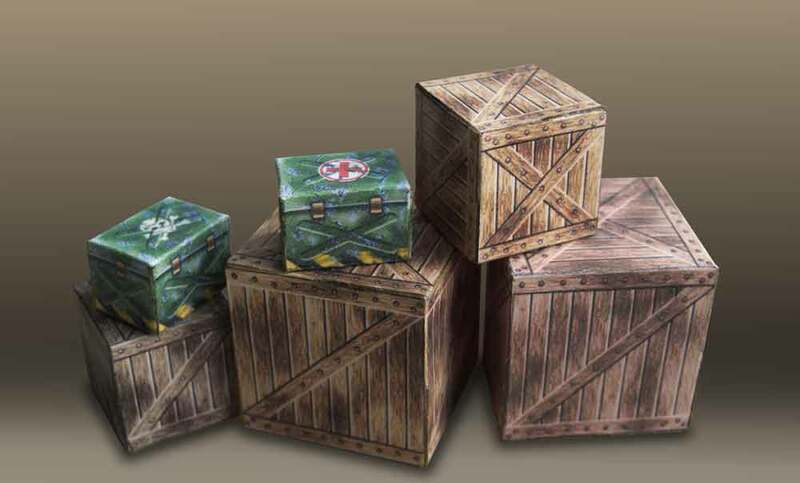 Ammunition boxes, medical boxes, deliver ammunition and heal wounded soldiers.